@Sherin: LOL, actually this really isn't affecting me much. I mean, sure I write a ton of angst and dark fiction, but that doesn't mean my mind will become dark (maybe it already is, LOL) However, I just like writing in this genre more than others. @Yuki88: Yikes! Attempting suicide is scary, so don't even think about doing it! But gahhhhh, *gives tissues and hugs* Gomen. Maybe this fiction will cheer you up even a little bit? @Llyloo: Yikes again! *hugs back and gives tissues* Gomen on making you cry. @mayuki_daisuki: Indeed I'm glad personally too that Jurina is there for Mayuyu. And *hugs* gomen. I don't have them anymore (I think) and I'm fairing much better than before, so don't worry too much about me. Uh oh. I seem to make you guys cry/'be depress' over this topic (I made my best friend cry too when she read this. TAT) Gomen. I hope this fiction brings some happy light towards your emotional being-oh, what am I saying. Just read this and hope I can cheer you all up, even a little bit. Hugs given to all of you, both lurkers, readers and I guess non-readers too, LOL. One of my university classes was now over for the day and many of the students around me gathered their belongings. Some of the girls were chatting loudly with each other in the background while others quietly cleaned up their area. The professor was seen in the front of the whiteboard; erasing whatever was scribbled on the board earlier. Above the board was an analog clock. Its hour and minute hands were pointing that it was five o’ clock in the evening. The girl standing in front of me waved one of her hands in the air wildly. “I-Iie… I just promised one of my close friends that I would walk her home today.” Mayu turned her head around and faced it towards the only door of this room. I followed the direction of her gaze. Immediately I found another girl standing inside of this room; leaning against the wall next to the door with her arms crossed. Her long, straight black hair traveled down midway of her back. Accompanying with her beauty and grace marks her one of the most beautiful girl found in this school. Not to mention one of the many smartest students too. I squinted my eyes. That older student looked familiar. Kashiwagi Yuki was her name I believe. “I’m the only one that’s allowed to call Yuki ‘Yukirin’,” Mayu jokingly snapped back at me with her tongue sticking out at my direction. I returned the same treatment to her. Then dropping her pouting face and smiling at me, we both exchanged farewells before she took her leave. I watched and saw her approach the taller girl. Yuki seems pleased now that the other shorter girl was ready to leave. The two of them were chatting with each other as they left the room. Once they had left the room, I refocused on packing up my bags. As I pondered on my schedule for the next day, I had finished packing up my bag. And just when I slung the bag’s strap across my shoulder, I heard a ding coming from my cell phone. Quickly I reached into my skirt’s pocket and pulled out my pink cell phone. There were stickers and glitter designs all over its surface. From the front screen, I saw that I had received a new text message. ‘I wonder who it’s from…’ I asked myself as I flicked it open. My question was instantly answered when I saw the name of the sender. Yokoyama Yui. The person that I truly loved… and missed. I didn’t hesitate to open up the message and read what she had sent me. It’s been a while, hasn’t it? A while since I’ve last texted or even called you. Military life here is strict as you can tell, so it’s hard for me to keep in contact with you. Though I’m going to be returning back to my duty in a few minutes, I hope you quickly text me back so I have a chance to text back to you! The message nearly made me want to flip backward from joy when I finished reading the message. A text message from Yui… It has been a while indeed. The last time we managed to speak to each other was five months ago when she stated that she was going to be on a mission with some squad members in another country. It’s nerve-wrecking when you haven’t heard from them in a while and wondering whether they are alive or not. So to suddenly get this message from the person you love is something to rejoice about. I bit the bottom of my lip as I typed a reply back to her with my fast fingers. Subject: RE: This is Yui! 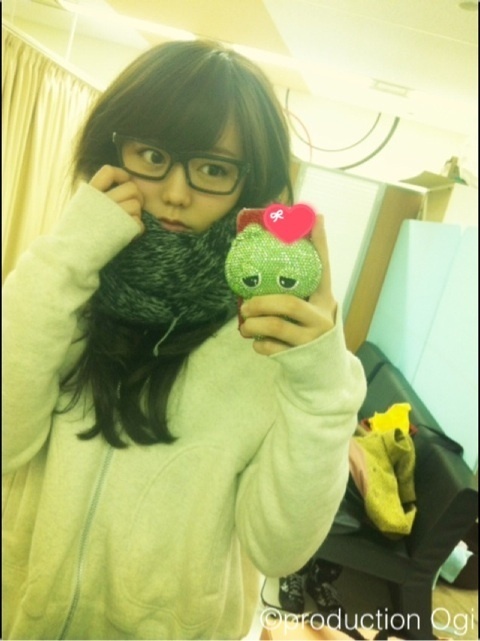 Yuihan, it truly has been a while indeed. I’m already finished with my last class for today, so you don’t have to worry about bothering me during class. I must say though, I’m surprised that you texted back after you told me about that mission. I hope you aren’t injured from it. You know I’m worried about you. The instant I sent it out, I got another reply from her. I raised one of my eyebrows at such fast response. Subject: RE: RE: This is Yui! I rolled my eyes when I saw her reply and texted her back just as quickly as she did with me. Subject: RE: RE: RE: This is Yui! Of course I would considering that you haven’t contacted me for five months. -_-"
I glanced up at the clock to check what time it was before hearing another ding from my phone. Subject: RE: RE: RE: RE: This is Yui! Then I texted her back again. Subject: RE: RE: RE: RE: RE: This is Yui! Apology accepted. I… miss you, you know. The next message received from Yui took a much longer time compared to the others. Subject: RE: RE: RE: RE: RE: RE: This is Yui! I miss you too. It’s lonely without you being seen every single day. If I weren’t careful with my emotions, I could quickly become a mess in my spot right this instant. Keeping the overwhelming feeling of sadness out of my physical appearance, I texted her back. Subject: RE: RE: RE: RE: RE: RE: RE: This is Yui! It’s lonely here without you too. I paused. I felt my eyes beginning to get watery, which I tried hard to shake them off. But as much as I wanted to get rid of the feelings, the need to cry was still there. Quickly I decided to get out of the classroom and walk back into my dorm. The dorm that I use to share with both Yui and I before she was drafted into the army. To be honest, we both fell in love during our high school years. Probably because she was the only person that came up to me during class, we instantly clicked with each other. She liked what I liked and vice versa. It’s amazing to find someone that could relate to you so much on a certain level. Our relationship started off as being friends at first. It soon progressed to being close friends and finally lovers. She confessed to me during our last year of our high school year. I gladly accepted it and returned the same treatment and feelings back to her. However, when we both were in our first year of college, there was a draft going on at the time. A draft in regards to a war pertaining to Japan and an unknown force. The government forced many individuals to partake in this war. To both of our dismay, Yui was forced to be a part of the army as much as she hated to. It was a three-year serving time period she had to do before returning back to her normal life. Who knows what sort of danger lies for the other girl. I had to play the role of being the lover staying back and nervously thinking about Yui’s well-being. Was she doing alright? Is she lonely? Does she have any friends she could turn to at dark times? Does she miss me? Three year was a lot. Three years was definitely a long time. A long time where suspicion and tension was easily felt between the two of us. But we still sustained our love and our relationship was still strong. Another text came from Yui once more and this time it was the last text I’ll receive from her until another time. I guess we’re both on the same boat. But hey, remember that I’m always here for you even though I’m not physically there. Btw, I have to go now so I’ll try to contact you as soon as possible! P.S. Remember that I only have one more month left to serve in the army before I finally get to return home! A smile was felt forming on my lips when I read that last part of her message. Yui’s finally going to be home and we’ll get to enjoy the time we both use to have before she went to the army. Walking through the pavement with many pedestrians walking to their destination, I hurried back to my dorm and decided to spend the rest of my day in my room. After a thirty minute trip that included a quick stop to the café for a cup of hot coffee, I was standing in front of my dorm room. With the coffee cup in one hand, I had the other trying to dig the key out of my pocket. A few seconds passed by and I finally managed to get the object out of its hiding spot. The key was inserted into the keyhole. Twisting it clockwise, a click was heard. I deposited the small item back into my pocket as I pushed the door opened. It was dark and I did not hesitate to turn on the lights with the nearby light switch. Bright white light illuminated the area and told me that I was standing in the entrance hallway. I took off my shoes and closed the door gently shut behind me. Straightening my back, I saw the kitchen to my right and the living room to the left. And straight ahead held both the bathroom and bedroom for two girls. I sighed and went straight to the living room. Right when I turned around, I bumped into something rough. Alarmed, I backed away and pulled out a fighting posture I’ve learned from Yui. Though I’m not a fighter, I can at least protect myself with some self-defense. (As proven one time when a thief tried to steal my purse one time) But it seems like I didn’t have to pull out any moves for the person in front of me was the person I yearned to see for so long. Indeed I dropped my defense. Only to be followed by a hug. Yui was taken by surprise but I could feel her arms wrapping around my body, hugging me tightly. The familiar scent of my girlfriend was sensed as our bodies came close once more. I didn’t want to let go of her anytime. Was this all a dream or was this reality? I closed my eyes and let the tears that I’ve held back for so long fall from the corner of my eyes. We both separated after our reunion hug and stared deeply into each other eyes. Her face was the same just as though she had never left off for the army. Aside from… a scar, that is. My left hand trembled as it came to touch a long scar that was located on one of her eyebrows. It ran down to her cheek; surprisingly not giving her any blindness with her eye. “Oh god, what happened to you here?” I whisper in a soft voice as my fingers traced the scar. It was bumpy and shown to have been there on her skin longer than a year. “As do you too,” I added. I felt my cheeks slightly heating up as Yui in front of me too had her cheeks turn slightly red. Then without thinking twice, I closed the distance between the two of us. I took her by surprise. Our lips connected with each other and it probably was the longest kiss we’ve ever had. It was gentle and poured all of our emotions in that one move. We parted when our lungs were about to give way as much as we wanted to keep in that position. Our foreheads were leaning against each other for support as we panted for the lack of oxygen. I rolled my eyes. "You surely did play your part very well at giving me a surprise." I'm not a YuiParu Shipper, but it's so sweet **. And it's seem that you can't resist to add Mayuki xD. I'm glad you all like the YuiParu OS! I'm sure picturing her in her military attire is quite easy thanks to AKBINGO! Danso section, LOL. “I’m taking a picture for my blog you both!” Shinoda Mariko waved her hands at the direction of two members standing a few feet away from her. Those two members were none other than Watanabe Mayu and Kashiwagi Yuki. The two girls exchanged glances at each other before nodding their heads. Turning around, they nodded their head in agreement as Mariko took a couple steps towards them. Raising up her camera, she made the screen on her iPhone activate the camera app. Her hands twisted the electronic device sideway as the screen transformed in a camera. With a few touch screen buttons that she can simply tap upon, her picture will be taken at anything in front of her. Mariko motioned the two girls that she was ready with a thumbs up from her side. Both Mayu and Yuki smiled at the camera. With Yuki right behind her, she raised a peace sign as Mayu too raised hers up. However, there was a certain individual that interrupted the moment Mariko tapped upon the ‘capture’ button. That person that was none other than the infamous flirting kissing adorable puppy monster, Matsui Jurina. The younger girl did not hesitate to shove her face right behind Mayu. With her lips puckered out, she was going to kiss Mayu’s right ear from behind. The cyborg girl knew better than to let this flirting girl succeed. So her hands soon transformed from being peace signs to blocking the side of her face from Jurina’s attack. One of her hand had the fingers gently push Jurina’s chin away from her ear, only to fail. Her smile was still plastered on as her eyes still stared straight ahead at Mariko’s phone. On the other hand, Yuki, who was staring at the phone not too long ago now shifted her focus to Jurina. Her dark brown eyes glanced at the girl and made her eyebrows express dissatisfaction at the scene before her. Mariko had caught the moment, ending up a photo of what was described from above. The older girl smiled nervously and had the corner of her mouth twitch. And with that said, she was gone and out of their sight. All traces of her presence were erased from the scene, leaving the three girls to wonder how fast she was at leaving. But never mind that. Mayu was struggling to get Jurina off of her back as the younger girl now cling from behind. Both of her hands tried to get Jurina off of her only to be knocked aside by Jurina’s skilled hands. This puppy surely knows how to attack and counter against those that wanted to so very much dodge her kisses. “Mou, Mayuyu, stop being such a tsundere!” Jurina pouted from behind as she tried to land a kiss not on her ear but rather her cheek. Little did she know that she was angering an overprotective ‘mother’ of Watanabe Mayu who was standing not too far away from the situation at hand. Jurina felt a hand rest on top of her left shoulder. Then before she knew it, she was torn away from Mayu and stumbled backward from such rough pull. Catching her balance, Jurina eyed who the guilty party was and saw that it was Yuki. The glare that the older girl gave to the younger girl made a shudder run through her spine and hairs stick up from the back of her neck. Beads of sweat were easily formed and slid down from the side of her face as the older girl stepped forth. The aura that she felt around Yuki was different. It was an aura of negativity and anger. Her so-called ‘Black’ side was coming out and that was definitely not a good sign. Jurina waved both of her hands in the air wildly as Yuki took another step towards her. If this was truly an anime, Jurina would have loads of sweat drops coming out from the side of her head as she backed away. Closing her eyes, she tried to flash an innocent smile at Yuki. Which didn’t work, of course. Her eyes snapped open when she felt another presence come into the picture. And this presence wasn’t Kashiwagi Yuki. Having a small sense of who it was, she slowly and robotically turned her head around till she could see over her shoulder. Matsui Rena was standing right behind her with her arms crossed. One could easily imagine a red anger mark pulsating from the corner of her head. She stared down at the poor Jurina, who almost wanted to run away in fear and cower in a hole till she was saved by someone. But it doesn’t look like anyone could save her at this point. She scanned around the break room only to find that it was the four of them alone. Everyone has now left her in danger of two very angry females. Especially the person that she loved, Matsui Rena. Rena raised one of her eyebrows before chuckling darkly. “Oh I won’t hurt you… I’m simply going to physically show what happens when you try to flirt with other girls and make me jealous… Just letting you know ahead of time, you won’t be able to walk in quite a while…” In one second, she grabbed ahold of Jurina’s collar. Her fingers keeping a firm grip on the edges of her white clothing, Rena dragged the poor girl away from the other two figures. Jurina meanwhile was struggling, trying to get out of her grasp only to fail miserably. So she hung her head in defeat as she let Rena drag her body out of the room. That now left both Yuki and Mayu alone in the room. Sighing loudly, Mayu scratched the back of her head. “Nah, I’m not that angry…” Yuki muttered back in response. It took Mayu a few seconds to tell the difference between Yuki’s punishment and Rena’s punishment towards Jurina. And during that time of analyzing the words Rena had spoken from earlier, her face heated up and swore that steam could rise above her head if she were a kettle. Turning bright red, she dragged her eyes away from Yuki and focused on the ground. perfect words of describing juri-tan "flirting kissing adorable puppy monster"
Rena: what shall this punishment be....? Yuki was so pretty jealous of Jurina for wanting to kiss Mayu and hug Mayu all the time. Now don't expect it to be some happy-go-lucky type of continuation, so yeah. Enjoy it and as always, thank you for taking the time to read my fictions (or not, LOL). “Hai hai, Yuko!” I replied back to one of my many friends, Oshima Yuko. I was in the middle of putting make-up on my face. Sitting right in front of the mirror, I had the hair stylist from behind help straighten my shoulder-length black hair. The heat resonating from the very object that is coming into contact with my hair could be felt from behind. I had become an idol. An idol that everyone knows to this very day. After awakening from the hospital bed, I found that the cancer I once was cursed to have disappear. Disappeared as though a miracle had been bestowed to me by the angels and Gods up above. Many of my old friends like Oshima Yuko, Kojima Haruna and Minegishi Minami came by to check up on me. There was a short celebration when the news of my good health got out to the public. Many of the doctors and nurses were astonished by my sudden recovery of such tragic disease. Either way, I was discharged from the hospital in just three days. It happened far too fast. But I was happy to have known that I won’t be burden from such illness anymore. Now that I know my health was getting better, I began to notice something strange. I felt as though I had… missed something. There was this empty feeling from within my chest. An empty feeling of something important being missing in my life. I wasn’t sure who or what it was, but as much as I tried to remember what I had forgotten, nothing came to mind. Even when I ran through all of my old records and objects that would remind me of the past, nothing helped ease the emptiness. My house told me that I have lived alone; my high school files and old supplies showed that I was the only class to not have a class president; my photos showing me alone in many of them. As much as I had wanted to look through and comprehend the reason why I feel so empty, I gave up in the end. There was absolutely nothing that could help ease me from this strange feeling. So I was living alone the entire time and own a floral shop. With no one to help me in the past, I’ve heard from Yuko that a stranger had found me collapsed on the ground without warning and called the emergency number. Which then led me to the hospital. And although I stayed for a long period of time, I have gotten better over time. Yuko had recommended me to chase after my dream now that I was healthier than ever before. And since my dream was to become an idol, I did pursue my dream. Joining in an organization called AKB48, I instantly became a favorite among the fans. Even the head, Aki-P as we call him, placed me as center for many of the songs. After a few years had passed by, I had announced my graduation from the group in hopes to pursue my next dream: Becoming an actress. Although I had sadden many members and fans, they all supported my decision and pushed me onward to my goal. Which was what I’m grateful for. Today was my last live concert at a television for performing my new solo as a part of AKB48. It was an easy day since the idol group was only going to perform their newest single, Manatsu no Sounds Good! followed by a few questions from the host of the show. Noticing that the hair stylist from behind was finished with my hair, I gave her my thanks before getting up from my stool. I gently shut the case that contained all of my make-up item. I took a moment to glance and stare at myself in the mirror. Over the years, I’ve began to realize how much I’ve changed over the years. My maturity has shown and the person standing before me is different from the sick Maeda Atsuko back then. My appearances had changes drastically. Instead of becoming a pale, weak figure, I was now a strong, healthy young lady. As I continued to stare, I saw many members rushing left and right in the dressing room. Many were trying to help each other out and burrowing items to improve their looks. But something caught my attention. There was someone that I have never seen before appear in the crowd. A short female dressed in a uniform of the Manatsu no Sounds Good! clothing with long, straight brown hair tied back with a white bow. And that female figure was standing a good distant from behind on my right. Her expression was seen to be written with both joy and sadness. Alarmed, I glanced over my shoulder to see who it was. The female figure I saw in the mirror was gone. There was no one standing from the rushing members. Flicking my attention back to the mirroring glass in front of me, I didn’t see the shorter female again. ‘Am I just imaging things or…?’ Unsure of what I have seen, I pondered over the thought that she does look familiar. But as much as I wanted to think about it, our performance time was coming up. There wasn’t much time to linger any longer on who that young girl was. Turning around once more, I brushed a stray lock of my hair from my left shoulder as I rapidly walked towards my destination. Upon making my way to my center position, there were many members bumbling around me. They were all giving me their ‘good luck!’ statement as I had returned it to them too. Standing with the microphone in one hand, I stared straight ahead at the small crowd that was invited to this special event. The lights up ahead were shining so brightly that it was becoming too hot to just stand on the stage. But with a smile on my face, I waved to the fans that formed one half of the audience. There was a cheer coming from that one half the moment they saw me wave. A small joyous feeling came over me when I heard them calling out my name. Then facing to the front, I focused my attention on the song that soon was to come up in a few minutes. Members all scrambled from behind as they adjusted their position. Chatters could be heard from behind me as they got ready. I stood silently in my spot as I stared straight ahead. That voice. It was familiar yet something I have never heard of in my life. Hearing my nickname being heard, I flickered my direction to the source of the voice. I didn’t see anyone on both my right and left. So refocusing back to the front, I nearly tripped backward from shock. It was the girl I’ve seen from earlier. The shorter stature girl stood before my eyes. There was a smile seen drawn across her face as she stared at me. Her dark brown eyes were trained on my own. And for some reason… I can’t look away even if I wanted to. The two of us staring at each other, she then opened her mouth again. The girl then took a step towards me. I wanted to take a step backward but was stuck frozen in my spot; just staring at her. The younger girl kept on coming forward till she was standing directly in front of me. Her face soon came to my level as she tip-toed on her feet. Before I knew it, her lips were on mine. My eyes widen when I noticed that I had tears running down my cheeks. Streams just kept on coming as the other girl had her eyes closed; tears too flowing down on her face. It felt as though time had stopped around us. Upon the kiss, I suddenly remember something. Or more like I remembered someone. Someone who was important and dear to me. And when I realized it, more tears came forth. Squeezing my eyes shut, I pressed against hers, surprising the other girl. After what seems like a long time, we both separated. Our face somewhat red from both crying and blushing from the kiss, we stared at each other long and hard. Her left hand extended out to touch the side of my face, caressing it. Warmth spread instantly to my face as I tried to wipe away the tears from my face with my right hand. “I’m glad I’m able to see you once more,” she spoke to me in a small voice. “Just remember that I’ll be always in your heart.” She backed away a few steps from me when she retracted her hand from my face; her body soon fading away as though a wind blew against her small body. Sparkles resonated from the bottom and traveling upward. With a smile, she then said her final words to me. With that said, she was gone. I stood in my spot, stunned at the event that happened at hand. I couldn’t help but smile back to her, which resulted in the shorter girl to return back with a dimpled smile. She hastily walked back to her position from behind me as I turned my head to the front once again. There were the audience watching us; all eyes penetrating each and every one of us. I could tell that we were about to perform in a few seconds. Readying my mic, I ran the choreography in my head to prepare myself for the song. But at that moment, I couldn’t help but shed one more tear accompanied by a sincere smile. Ohmygosh! I thought my lacrimal glands were dried out! LoyalFlutist-san you did it again! Awesome!